Today’s photo subject was “full”. Today was also a crazy busy day at work (from home), so I needed to find something “full” around my apartment. 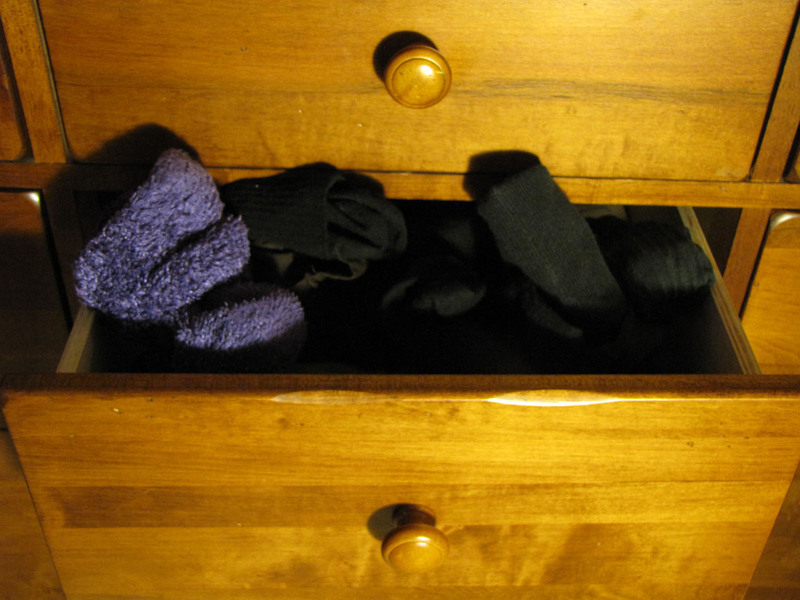 It took a while, but I did find something: my sock drawer. Sounds silly and ridiculous, but I am constantly going through socks. I lose socks. I wear through socks. I layer socks. Seriously - if it’s cold out, I will wear 3 pairs of socks at once. So… I have a lot of socks.